historical novel surrounding the royal court in eighteenth century St.
behind one of Russia's most revered and holiest figures, St. Xenia. You'll follow Xenia as she attends lavish ice balls, dances and operas. who most unexpectedly falls in love with a dashing soldier, Andrei. 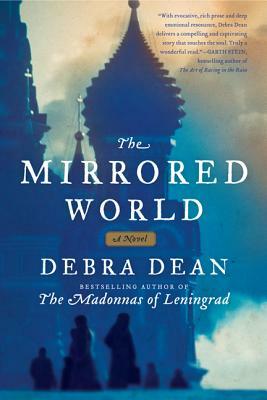 The critically acclaimed author of The Madonnas of Leningrad ("Elegant and poetic, the rare kind of book that you want to keep but you have to share" --Isabel Allende), Debra Dean returns with The Mirrored World, a breathtaking novel of love and madness set in 18th century Russia. Transporting readers to St. Petersburg during the reign of Catherine the Great, Dean brilliantly reconstructs and reimagines the life of St. Xenia, one of Russia's most revered and mysterious holy figures, in a richly told and thought-provoking work of historical fiction that recounts the unlikely transformation of a young girl, a child of privilege, into a saint beloved by the poor.